Where nature's grooves round knotted junctures and converge in parallel streams, and arborous textures run against the grain of everything paper was thought to be, that is Gmund Wood. Gmund Wood, formerly known as Gmund Savanna, is the world's first and only paper to truly mimic the texture of woodgrain in both a veneer and solid finish. Each sheet is stylishly embossed to give the look of actual wood, but retain the printability of paper. 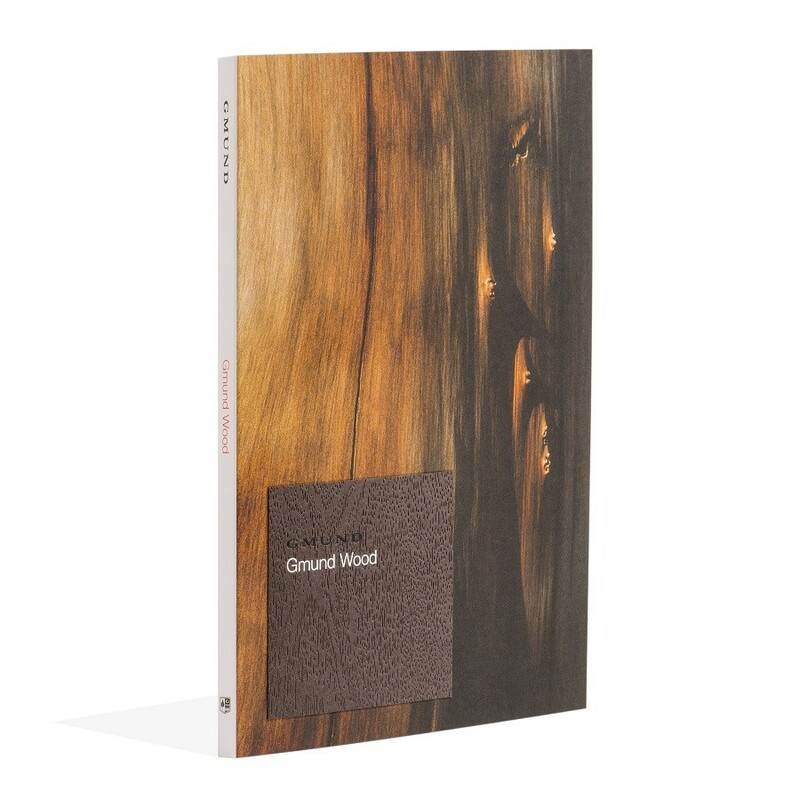 The Gmund Wood swatch book not only displays the 9 natural earthy swatches in both the solid and veneer finishes, but provides printed pieces in a variety of printing processes displaying how this beautiful paper takes inks, foil, embossing and other printing processes. It is the ultimate selling guide for this truly unique paper.